So, I modeled a character in my free time and decided that it needed fur. Since I don’t have the money for fancy fur packages and 3D rendering software, I decided to use Blender. Let me tell you, this package keeps getting better and better everyday. Posted above is a picture of my furry character. He may not end up looking exactly like this when I am finished with him. I may change the color, but I like him anyways. 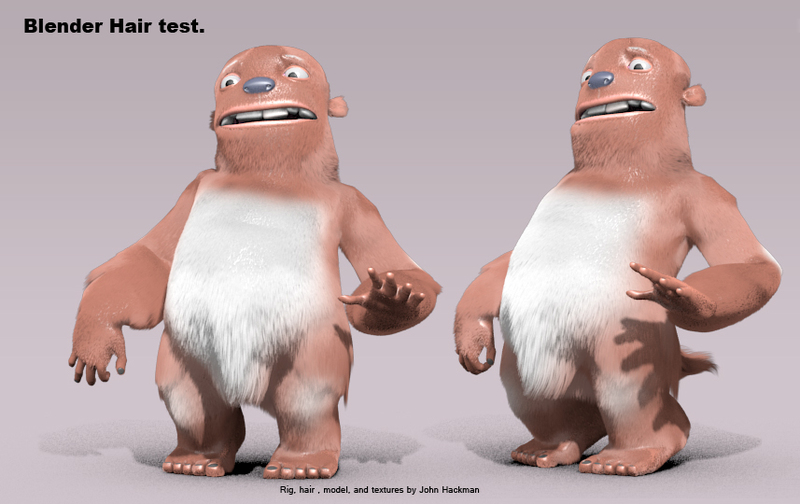 The fur was made by growing out particles in with the length and density based on weights, combing and trimming in the nice particle mode, color being derived from UV and an alpha ramp on the hair to give the it a nice soft falloff. There is a great tutorial for this on Blender Cookie. After going through the tutorial, I was amazed by how easy it was to texture, style the hair towards the tail and haunches and comb the hair. It renders very quickly too! On a side note, the only other time I have played with fur was using Lightwave 3D 9.6’s fiber effects. wish i had time to learn more maya shiznit.. cool that blender is going strong from open source!